What an adventure! The traverse across Colorado was either 503.4 miles or 499.7 miles – depends on if I count the numerous ‘circles’ and ‘backtracks’ that I executed for numerous reasons. That’s right. I keep track of every inch traveled and every second elapsed. Why? Why not? Dude… Dudette. 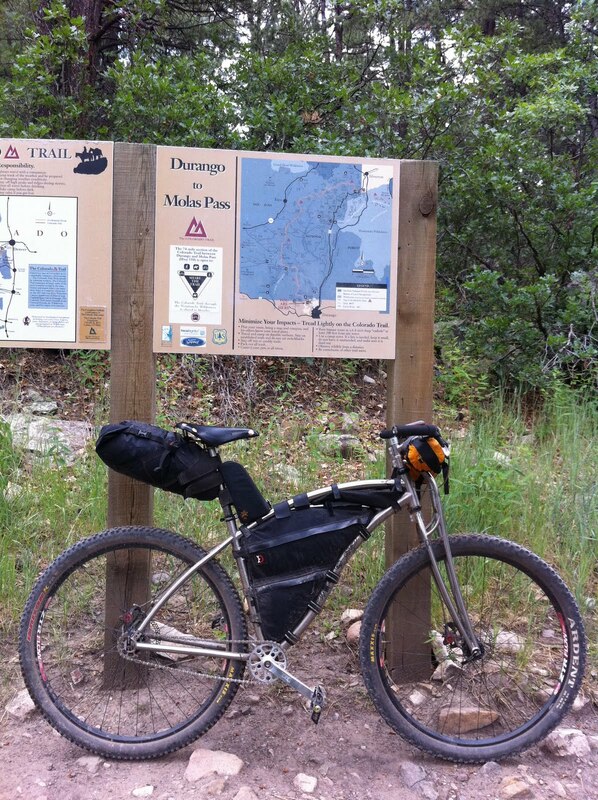 The adventure started out as an end-to-end unsupported tour of The Colorado Trail. (Yes a tour, not a race.) The adventure evolved into total ludacracy – as we all expect when hanging @ the Back of the Pack. And the adventure ended as it started – a dude hanging out in Colorado dreaming crazy dreams. The goal of the end-to-end tour stopped a few miles short. I bailed after Segment 25, Bolam Pass / Celebration Lake. But that’s cool. 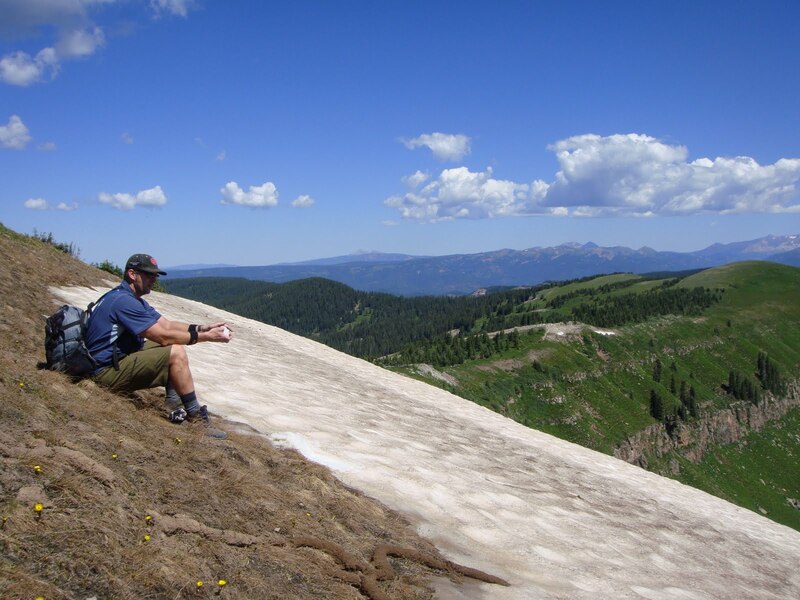 It’s been a long summer on the Colorado Trail – 700+ miles over 2 months and 4 adventures. And just 6 weeks earlier The Morale Chairman and I toured Segment 25 to 28. 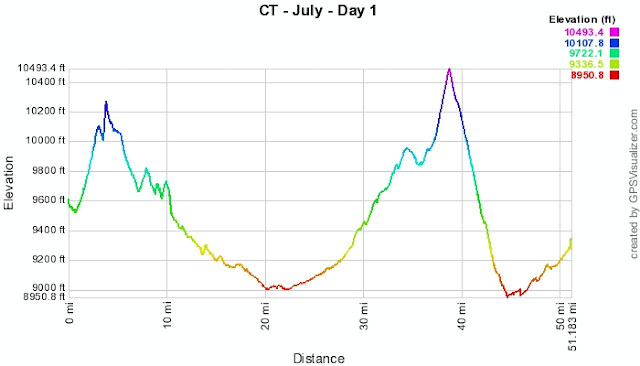 In the summer of 2011 I experienced every single mile of the trail – outside of wilderness areas; I have memories and data for every single mile. But up on Molas Pass I simply hit a mental threshold, a threshold driven by reality. A full tour of the CT would put me 2 days past my scheduled arrival in Durango. My life isn’t driven by schedules. But the 10 day schedule twisted my thoughts, complicated my thoughts. Sure, a few extra days on the trail were possible. But it was time to jump back to reality. It was time to head home, time to return to work, time to eat some cheeseburgers, time to transition to the dreams of 2012. 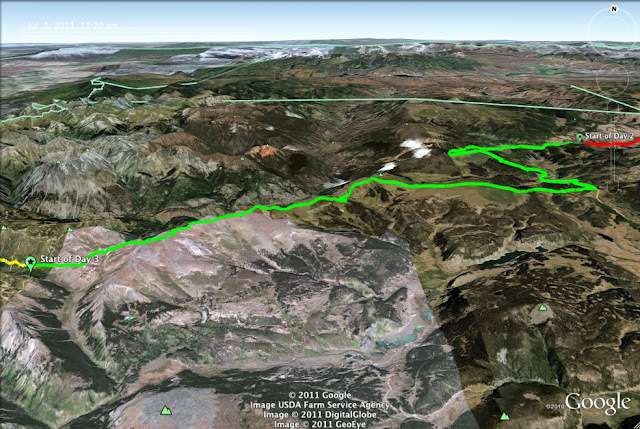 Yeah, I failed at my 2011 goal of an end-to-end unsupported tour of the Colorado Trail. But it’s not really a failure… I can spin it anyway I want. (700 miles on the 490 mile trail ain’t that bad.) Maybe I’ll conquer the beast in 2012 – unsupported. Maybe not. But I’ll be back on the trail next July, guaranteed. Below is a subset of the my memories, a subset of the pics, a subset of the data. Check out this link (the link, dude & dudette) for all the pics – sorted, processed, photoshopped and airbrushed – obviously. 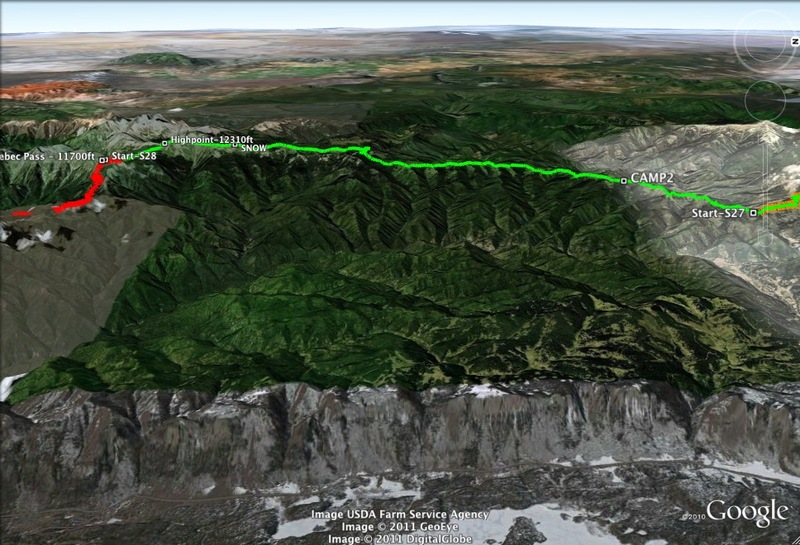 Also, I’m creating a new blog / website devoted to the greatest trail on Earth – The Colorado Trail. Check it out…. 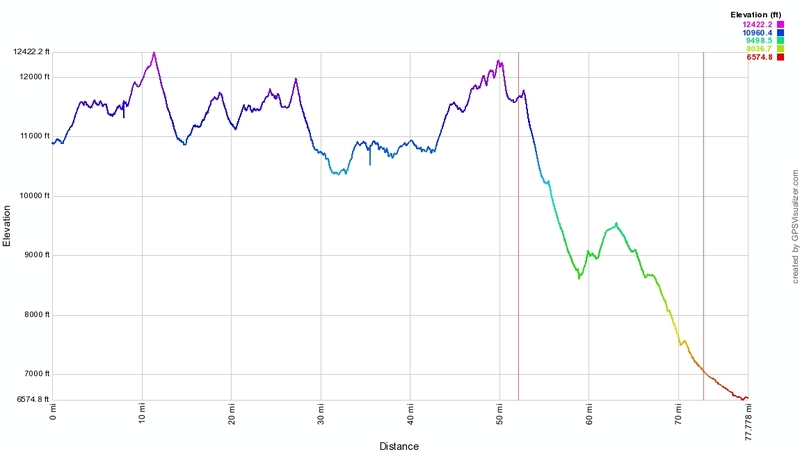 https://singlespeeding-on-thecoloradotrail.com/. This new site will evolve over time. The goal is to document every segment – as I live it at the Back of the Pack. I’ll post maps, GPS data, pictures and random thoughts. Ok, the thoughts aren’t that random, just twisted. And I (and friends) have a goal of hiking all the segments in the wilderness areas. That’s right. I may have biked the Colorado Trail from end-to-end. 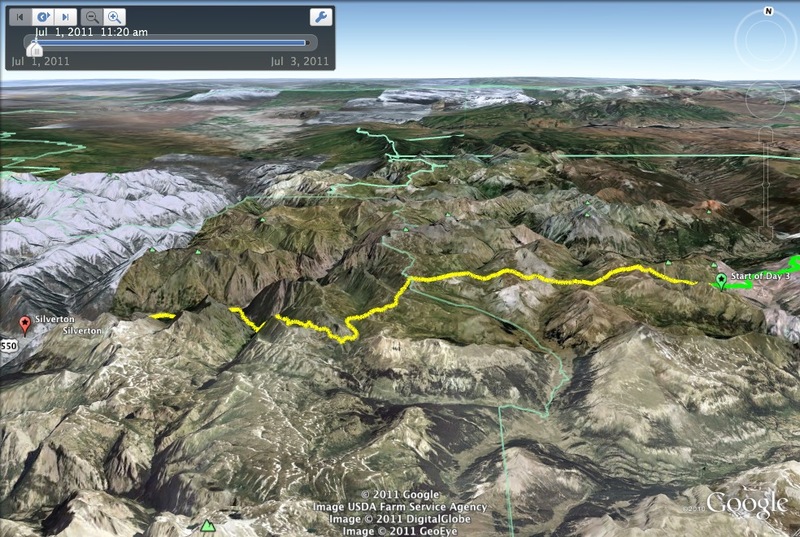 But I MUST experience the 125 miles and 26,500 vertical ft of trails within these various wilderness areas. So, if you’re a mountain biker and / or a hiker and want to tag along. Let me know. I’m always eager for company…. most of the time. I’m a bit torn about recounting the adventure day by day. Do you really care what happened each and every day? No way Jose! 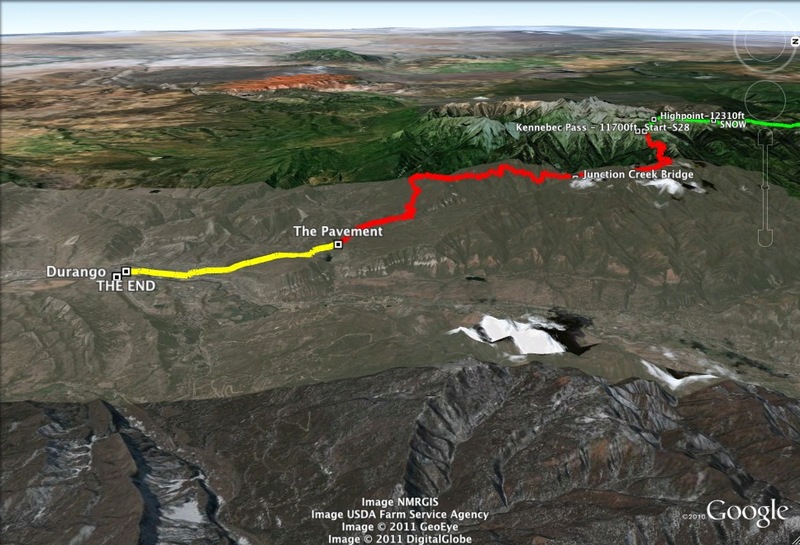 So I’ll just lay out my progress from the start of the CT to the end of my tour in Durango. There are way too many highlights to discuss them all – or even a fraction. Therefore I won’t. Day 1 – Friday Aug 26th: Just a long boring day. Started at Indian Creek Trailhead, cruised into Bailey and survived a nightmare on 285. That’s right. While cruising 285 up to Kennebec pass I quickly calculated my odds at survival as 50/50. But it turned out OK. The rain started 2 miles from the start of Segment 6 and I spent a long night in a rain soaked tent. But I survived. 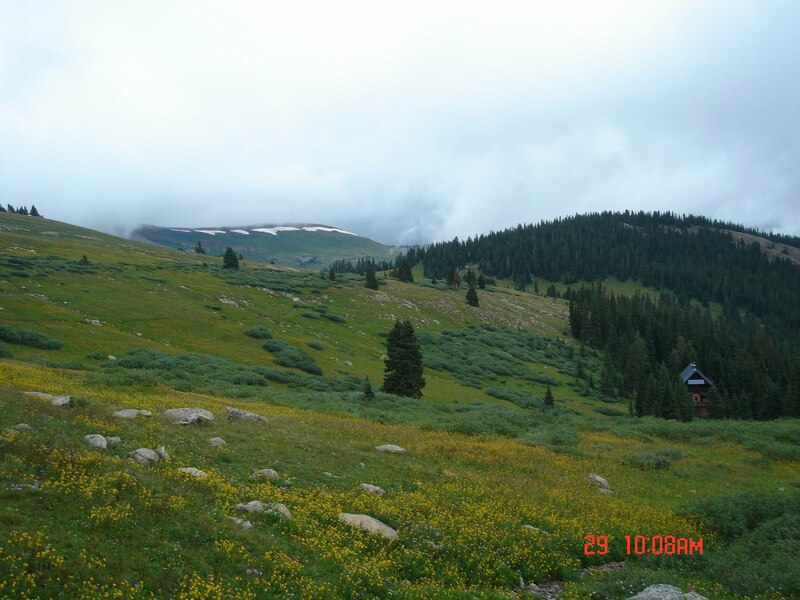 Day 2 – Saturday Aug 27th: Segment 6, the longest segment on the Colorado Trail. I hiked up to Georgia pass and suffered on the trails just east of Breckenridge. The day ended with TWO big meals in Frisco. Yep. 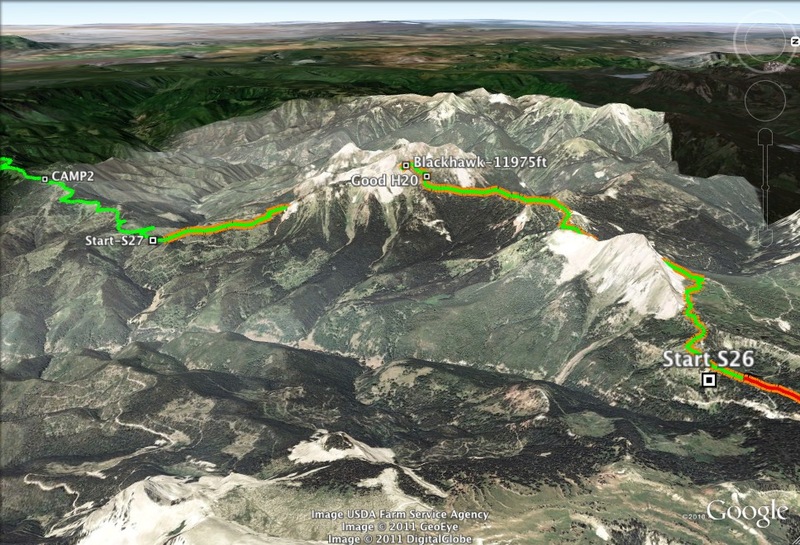 Why start Segment 7, the hike to Copper Mtn, when the thunderstorms were forming and good food was a short ride away? Day 3 – Sunday Aug 28th: I met Super Freak Jill (3rd place CTR) at the Frisco Walmart. Jill wanted to experience the Colorado Trail at a pace only possible at the Back of the Pack. Jill and I lumbered over the mountain to Copper, Segment 7, and waited out the big afternoon rain at a Copper Mtn bar. After the rain eased up we headed out and camped 6 miles up Segment 8. Just a casual day on the Trail. 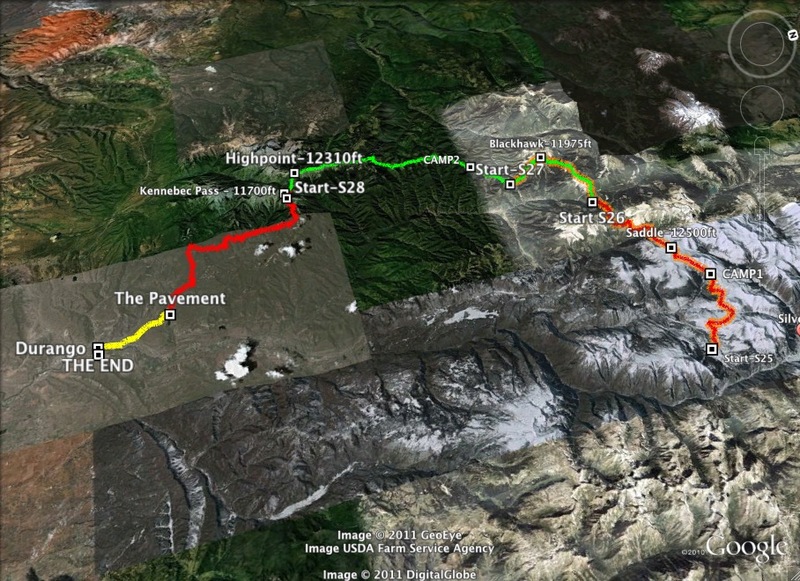 Day 4 – Monday Aug 29th: After the sun rose and the clouds cleared we headed up Segment 8 to Searle Pass and Kokomo Pass. Cruised down the trail to Camp Hale. Suffered up the trail to Tennessee Pass. The day ended at the Silver Dollar Saloon in Leadville. A fun two days with a fellow Colorado Trail addict. Day 5 – Tuesday Aug 30th: An early morning breakfast fueled a charge down to Buena Vista via the Leadville Bypass, Segment 11 and the Buena Vista Bypass. A causal day. I picked up gear at the Post Office, swapped out stuff and sent on other stuff to Silverton. A big pizza and an early night – the goal was to be fully rested prior to the start of the 200 mile tour to Silverton. 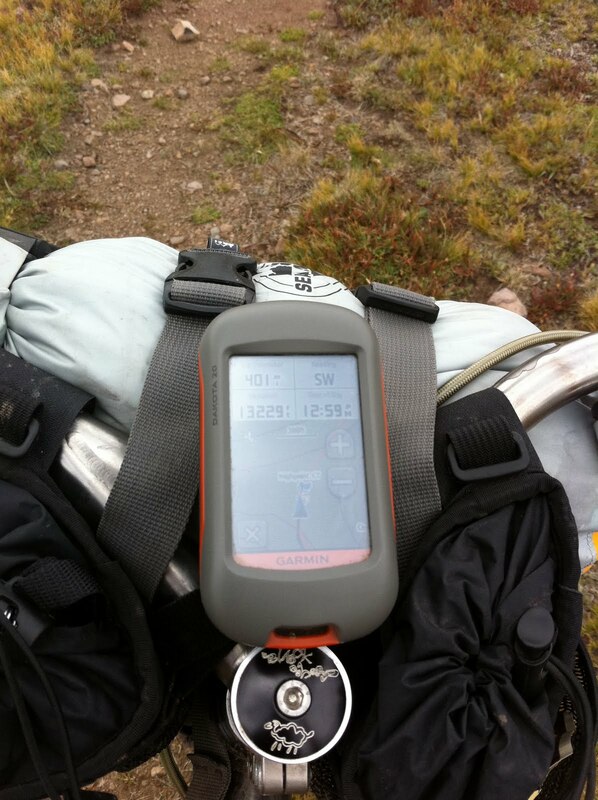 Day 6 – Wednesday Aug 31st: Another early morning breakfast fueled the long haul up to Marshall pass. Segment 13 was a blast. Segment 14 was brutal. 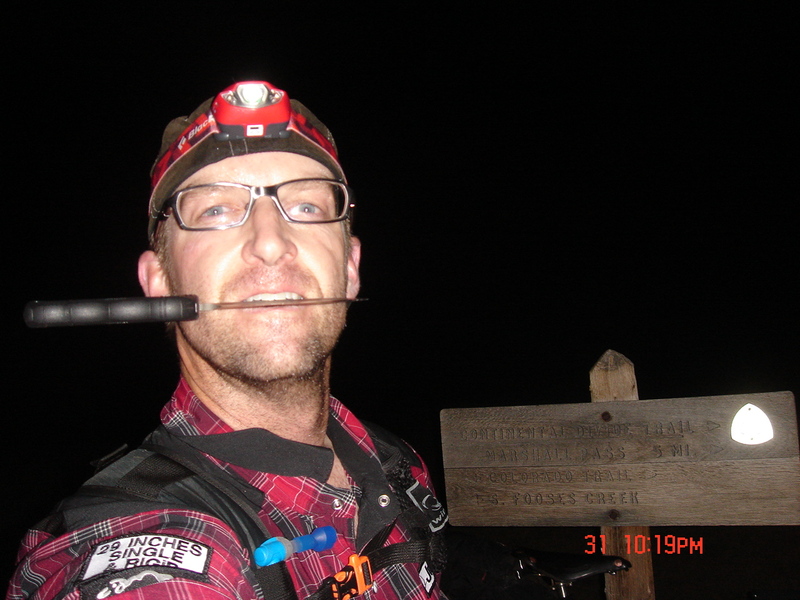 Segment 15… the long climb up to the Continental Divide, through the haunted forest, was all in the dark. But it was a good day. Day 7 – Thursday Sept 1st: Segments 16 & 17 can be best described by Metallica’s song – All Nightmare Long. Enough said. Near the end of Segment 17 I was the recipient of some UNEXPECTED Trail Magic. Is unexpected trail magic any different than anticipated trail magic? After the Trail Magic experience I cruised down to the start of Segment 18 and hunkered down for a night in the rain. 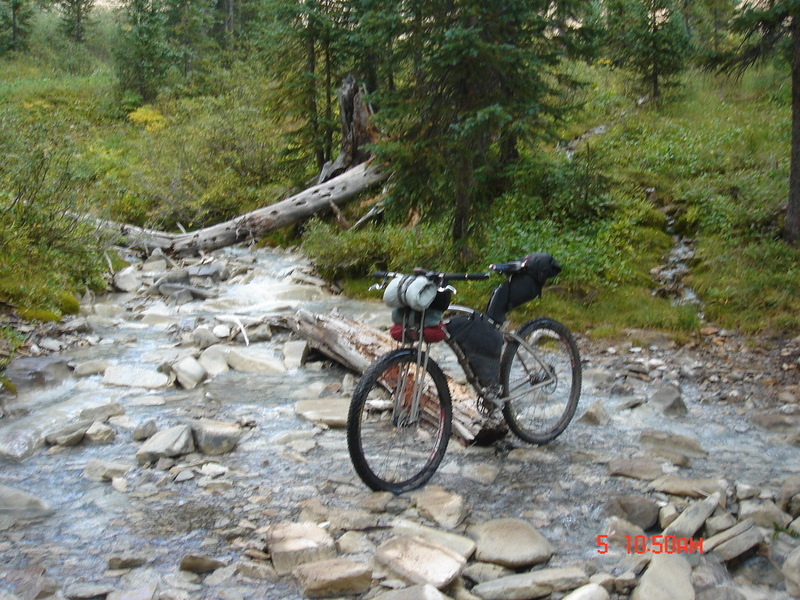 Day 8 – Friday Sept 2nd: A long cruise to Spring Creek Pass. Segment 18 was a nice break from Segment 17. 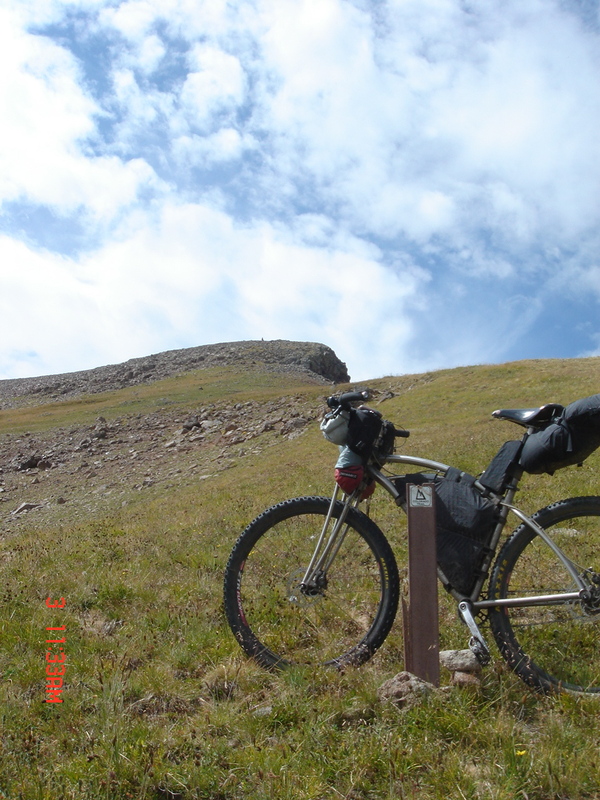 The Saguache Park Bypass was OK – until my peanut induced coma near Slumgullion Pass. But I prepared a good dinner of Macaroni & Cheese and prepared my mind for the high altitude assault. 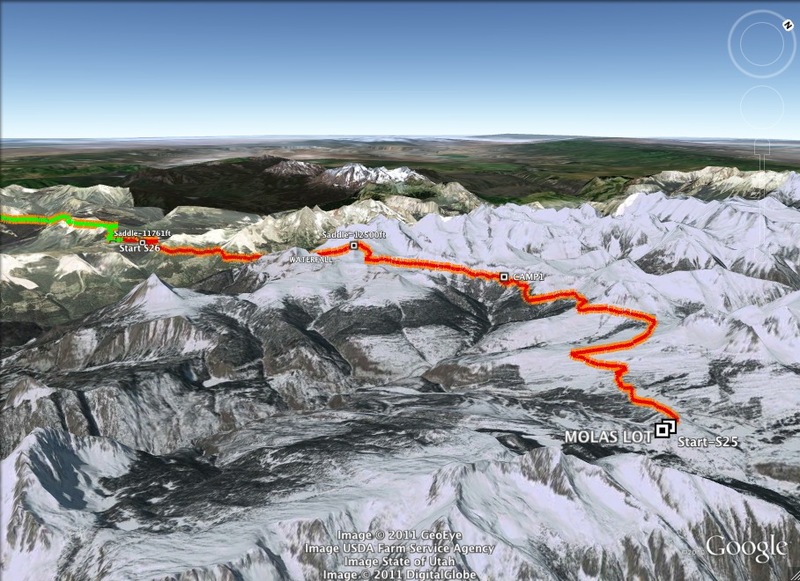 Day 9 – Saturday Sept 3rd: A long day at high altitude. Segments 22 & 23. Classic miscommunication lead to solo trip to Silverton. The Morale Chairman and I screwed up the meet up. Oh well. So it goes. A tough day on the trail lead to a nightmare in the hostel. Just another experience that will shape the way I tackle future adventures. 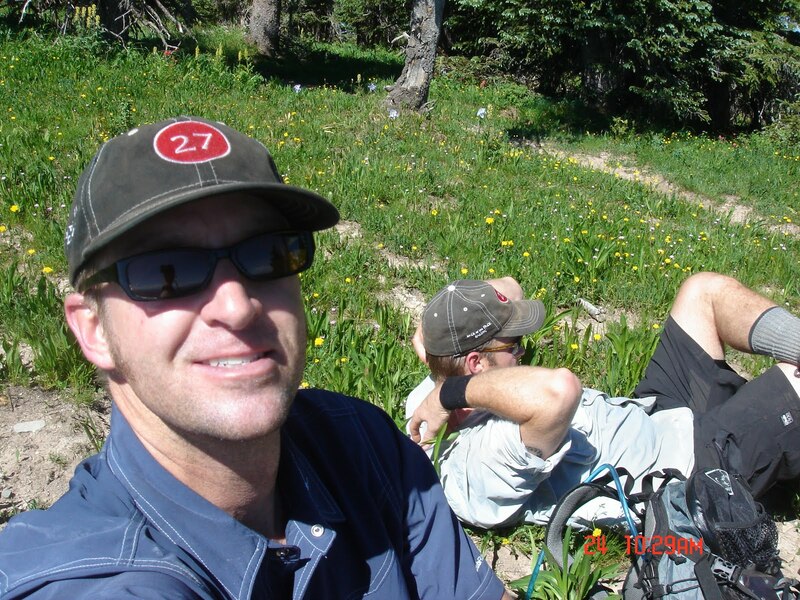 Day 10 – Sunday Sept 4th: A big breakfast, an easy climb up Molas Pass, a trashed psyche. The momentum evaporated – just like that. The desire to continue was gone. UNTIL The Durango Kid rolled up. A couple of laughs and pint of whiskey fueled the trip for one more day. We headed up Segment 25 and had a killer camp & campfire. What a way to wind down a crazy adventure. Day 11 – Monday Sept 5th: An easy day to Bolam Pass & Celebration Lake. A few comments about cheeseburgers and beer lead to our quick departure from the trail and a fast descent to Purgatory and Durango. Overall: It was an amazing tour of the Colorado Trail. I grew up in Colorado. The Rohwers toured the great state back in the 70s. The Rohwers continue to tour the great state in the 21st century. The brutality of 200 miles through central Colorado with zero supply points. Yeah. Buena Vista to Silverton is one crazy adventure. So much can go wrong, so much must go right. I survived, barely. But I was definitely worried – as I predicted complete starvation just a few months earlier during our 1st tour of the Colorado Trail. 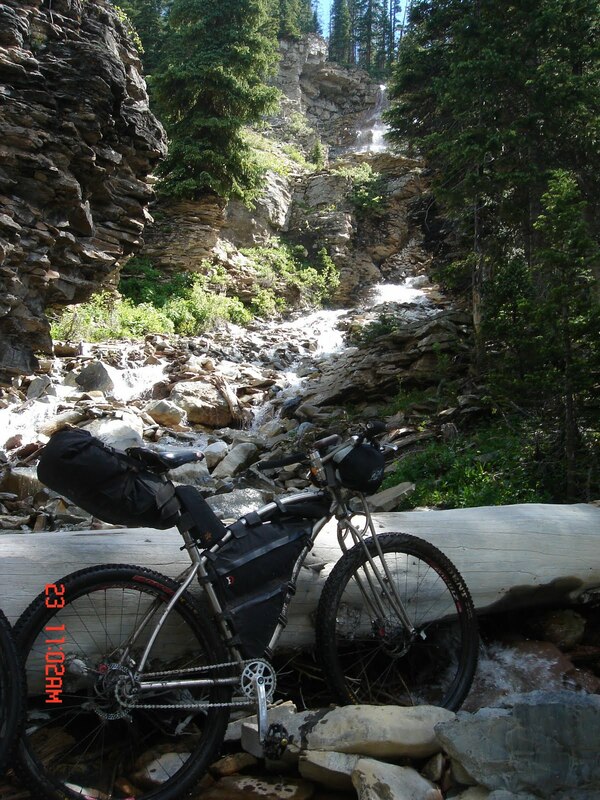 (Link to ‘A Cruise on the Colorado Trail’).I loaded my bike up with all the food you could imagine. And you guessed it. I didn’t need 1/2 the food I carried. But better safe then sorry. The terrain turned out to be the biggest surprise. Segments 14, 16 and 17 were NUTS! Rocks everywhere! 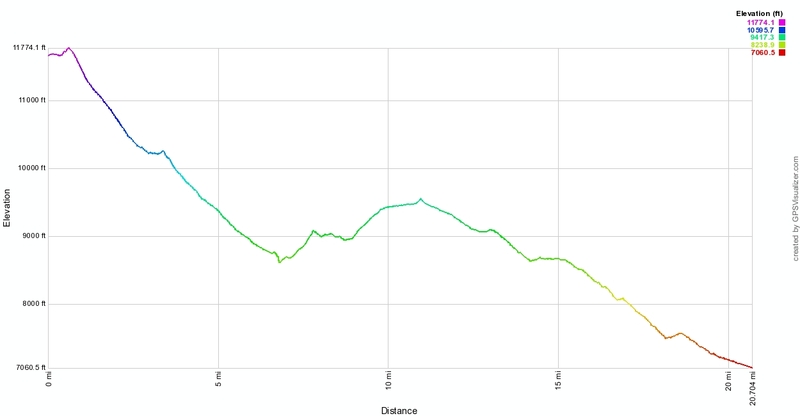 I walked up hills (obviously), I walked the level ground and I walked the downhills. The insanity of it all!The terrain almost drove me NUTS! The slow progress on Segment 14 forced (really, forced?) me to tackle Segment 15 at dusk. I was prepared to stop around mile 8 – the last reasonable point before exiting the treeline. But I convinced myself that the forest was haunted. Yeah, haunted like The Blair Witch Project. So I muscled up to the top of the Continental Divide and fought the gale force winds. I survived the 5 mile haul DOWN to Marshall Pass. 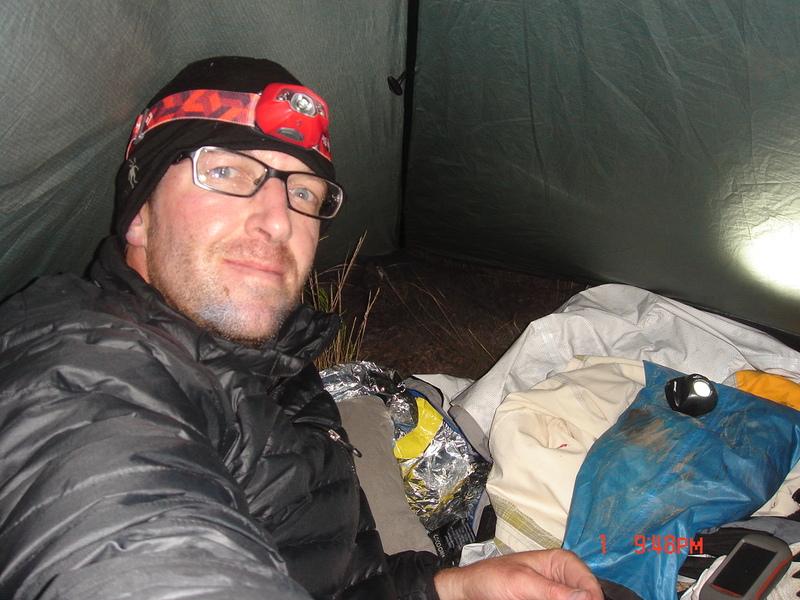 And set up camp on a nice slope – level ground ain’t easy to find at midnight. Anyway, talk about an experience! 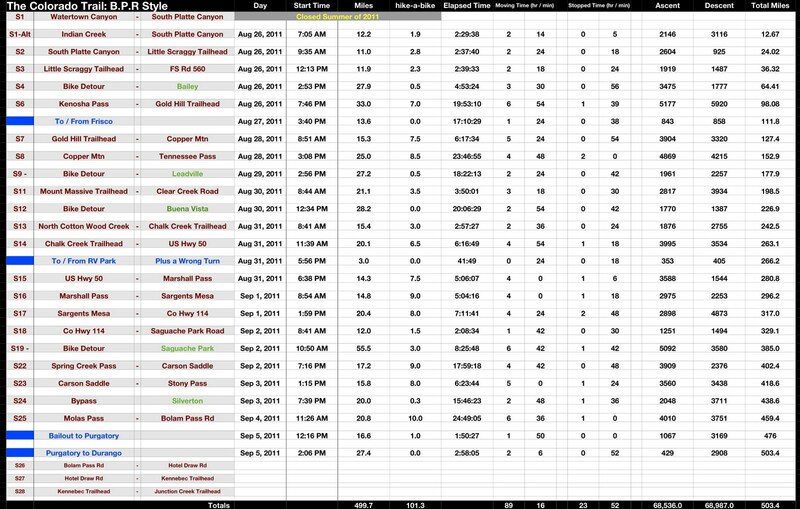 So I survived Segments 13 – 15. BUT I wasn’t prepared for Segments 16 & 17. I never would have imagined how rough ‘rough’ is. I covered the 35 miles in 11 1/2 hours. That’s right 11 1/2 hours for 35 miles. DAMN! I almost cracked under the mental strain of SLOW PROGRESS. But now I know. 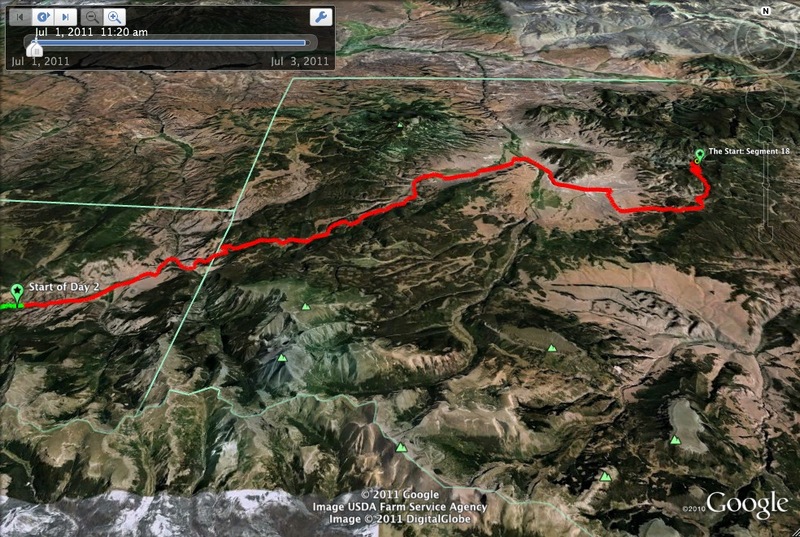 Segment 18 and the Saguache Park Bypass were no big deal – as I traveled those miles in July. But I still managed to suffer like a fat pig near Slumgullion Pass. Some jackass told me that ‘nuts are a high density food – pack some’. We’ll I devoured some ‘high density’ nuts about 3 miles from the pass and basically fell into a bad food coma. I almost pulled the plug on the ride. Seriously! I was nearly hallucinating between periodic dry heaving episodes. I’m thinking the ‘ball’ of nuts in my gut combined with the excess salt nearly put me in a real life coma. But I survived. I had to survive. Because The Brothers Rohwer were scheduled to tackle Segments 22 & 23 in the AM. Then the AM came. No Morale Chairman. Turns out classic & routine miscommunication led to more self imposed isolation on the Colorado Trail. I was out of touch for 4 days. I left Buena Vista thinking The Morale Chairman would meet me on Saturday for a 7AM assault on Segment 22 – Spring Creek Pass. Well, I waited til 8AM then the nerves drove me into a mad rush. I had to get to Silverton before dark. I had to get over the big climbs before the sun set. I was definitely concerned about a late night snow storm at 12,000+ feet – that’s right anything and everything can happen at high altitude, especially in September. Anyway. I was on the trail at 8AM and the Morale Chairman showed up a few minutes later. The dude returned south to New Mexico as I hiked the 35 miles wondering what the hell happened. Oh well. I rolled into Silverton an hour past dusk. I meet up with a Fruita dude (Justin) and we found some good food and booze at Handlebars. Lucky for me as I was STARVED. But, as usual, there was not enough food and too much booze. Funny how that happens. Then the night turned into TOTAL HELL! There were no hotels and no camping spots at the local campground. So we each paid $20 for a bunk in the Silverton Hostel. The bunkhouse from HELL. I didn’t sleep more than a few minutes. Some dude’s snoring could be classified as a cross between a humpback whale and a grizzly bear. I was SO PISSED OFF in the morning. I was so tired & frustrated that my mental state crumbled and my exit from the trail was all but guaranteed. So I survived the long haul from Buena Vista to Silverton. But I didn’t survive Silverton. The moral of the story – don’t jump from what works. Don’t do something stupid like eat ‘high density nuts’ if you’ve been surviving on the ‘engineered’ food groups. Don’t do something stupid like stay in a hostel if you been surviving via remote camping. Don’t switch it up late in the game! End of story. Yep, live and learn. Late in the game it’s all about maintaining the groove, maintaining a calm mental state. The Data is King. The tour was ~ 500 miles with 68,500 feet of vertical. My best estimate is ~ 101.3 miles of hike-a-bike. No joke, jokester. This adventure required 89 hours and 16 minutes of ‘action‘ and 23 hours and 52 minutes of ‘inaction‘. 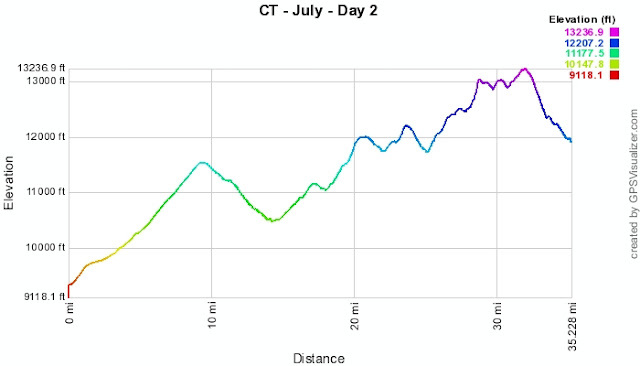 I may process the GPS data to narrow in my hike-a-bike estimate. Maybe. Maybe not. (You know, some data mining, some parsing, some basic data manipulation with simple algorithms.) Anyway, I’ll definitely generate more numbers next year – you can count on that. As I am a student of life – I learn and learn quickly from all my experiences. Sort of. Hiking in front of horses can lead to cardiac arrest. 3 meals a day may be impossible, but it helps an obese SS freak turn the cranks. If you’re gonna pack 1lb of dznuts, USE IT! Even if you don’t need it. If it’s 2AM and you awaken to the thought of a mountain lion stalking you – you may notice a rhythmical beating. Boom Boom Boom. The ‘boom boom’ is the pulse in your neck deflecting the sleeping bag. No joke. To dry socks out – put them next to your chest while you sleep. This is a trick that The Padre learned during the Korean War. If your feet hurt AND you’re wearing hiking boots – tighten your laces. If you stay in a hostel… F*^K That! Don’t stay in a hostel. Bugs may kill you in July. Thunderstorms and cold rain may kill you in late August and September. You choose your death. It’s been said that an individual will learn much about himself / herself during a solo tour of the CT. It’s been said that a solo tour of the CT could change a person’s outlook on life. Well, I don’t know if the adventure has changed me or just accelerated the change that was already in place. But does it really matter?All I know is that a) Isolation can break some, b) Isolation can be therapy for some. And in the end Isolation, or Solitude, is just a way to force a dude / dudette to confront the thoughts that are, and have been, circling in the head. But that’s not new to me. I usually confront my thoughts – the demons – on a daily basis. So, the Isolation, or Solitude, really wasn’t a big deal. And I’m a tougher dude because I experienced so much and survived so much. And I’m a more ‘comfortable’ dude because of these experiences and this adventure on the CT. Yeah, you know what this means? I am more prepared to live the hermit lifestyle, the lifestyle that I’m slowly migrating to. Some racers can’t fathom touring. Some touring dudes / dudettes can’t fathom racing. Does it matter? Maybe, maybe not. But it shouldn’t.All I know is that I COMPLETELY enjoyed the Colorado Trail and all the views. I tackled Segment 15 in the dark. And I think I missed out. Enough said. Either way, racing and touring each has a unique set of challenges and rewards. It all depends on what YOU want to experience and achieve. Anyway. We can leave this discussion for a later date. Or we can just forget about it. Recall the night from HELL in Silverton.Well, now I know how multi-year plans, a multi-year effort can be destroyed by the wrong experience at the wrong time – like HELL ON EARTH at the Silverton Hostel. Yeah. It’s all excuses – but I’m smart enough to know that a loss of mental toughness, a loss of mental stability can and will bring down a well executed strategy. I was simply exhausted when I rolled into Silverton. I needed food, I needed rest, I needed to recharge. Well, I found the food and that’s about it. I started Sunday in a terrible mood, after the night corrupted by the snoring freak job in the bunkhouse. (That dude should seek medical attention ASAP – obstructive sleep apnea doesn’t even characterize the dude’s situation.) And I started Sunday more exhausted than ever. I needed a day to recover from the night in the Hostel. So it goes. I started to perk up after an enormous two meal breakfast in Silverton. Then Justin and I headed up Molas Pass. Physically I felt strong. The big breakfast fueled the body. But mentally I was trashed. Since The Morale Chairman and I toured Molas to Silverton in late July. There was nothing new to experience, no new data to acquire, no reason to go on. I was on day 10 with at least 2 long days (or 3 easy days) to Durango. I couldn’t figure out why to go on. I could only think about 2012 and how I would do it different. So I made the decision. I would pack it in and take the pavement back to Durango.Then, lucky for me, I ran into The Durango Kidup on Molas Pass. The dude was on a two day ‘hunt’, a hunt to track me down on the CT. And The Durango Kid tracked me down – at the top of Molas. Whiskey was passed around, a few laughs were had and life was good once again. So the trip was extended. We started up the trail and camped out at a SWEET spot 8 miles up. We killed the whiskey, consumed massive calories in the form of freeze dried food and talked about everything but really nothing….. until the fire burned out. In the early AM we consumed more calories and hit the trail. All was good until we started talking about cheeseburgers and beer. What happens when two dudes talk cheeseburgers and beer? Well, detours happen. We topped out at Bolam Pass Rd and hit the jeep trail down to Hermosa Creek – straight to Purgatory for burgers and Modus Hoperandi. That’s just the way it is. It’s safe to say that The Durango Kid and this kid from Durango had a great final few days on the Colorado Trail. Neither of us accomplished our goal of a solo, self-supported, uninterrupted end-to-end tour of the CT. But there is always next year. And you know it. As I challenged the demons of isolation I tried to think about ways to move back to Colorado and support my opulent (opulent?) lifestyle. Below are a few ideas. Do you have any ideas? Or…. continue in my current position in engineering – so I can support my addiction to Black Sheep Bikes. I experienced crazy stuff all along the Colorado Trail But three crazy things happened back to back to back on highway 550. 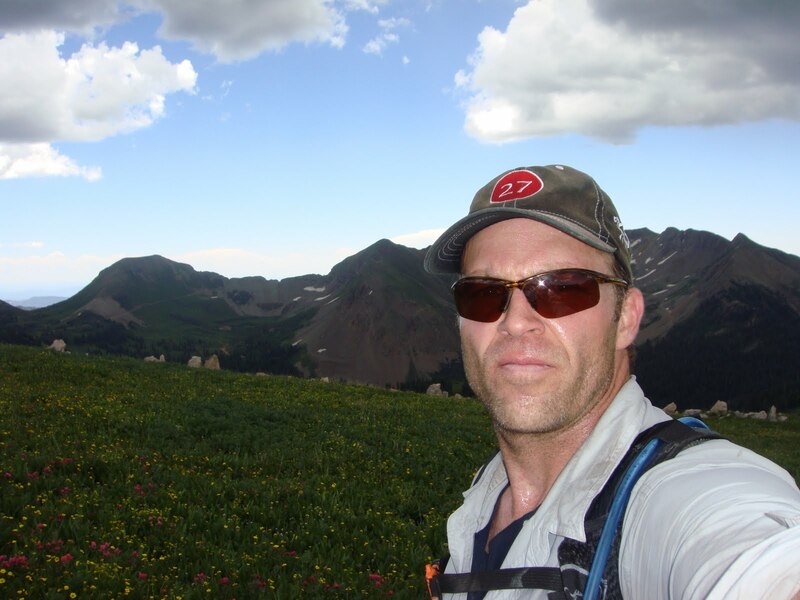 An old friend from high school, Lance Roberts, passed me on Molas Pass. I hadn’t seen the dude in 22 years. He recognized me and pulled over. 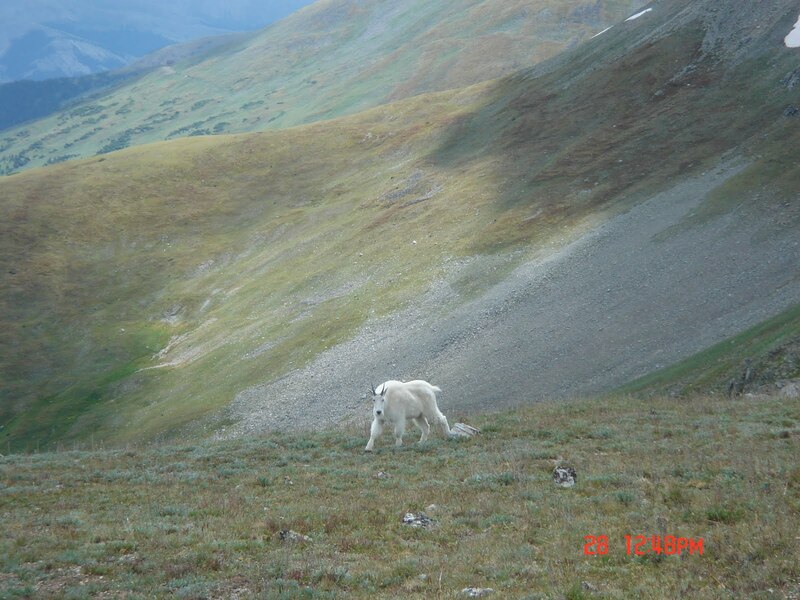 We had a killer conversation on the side of the road – a few miles up from Silverton. Maybe some day I’ll work for Lance – down in South America. The Durango Kid caught up with me at the top of Molas Pass. 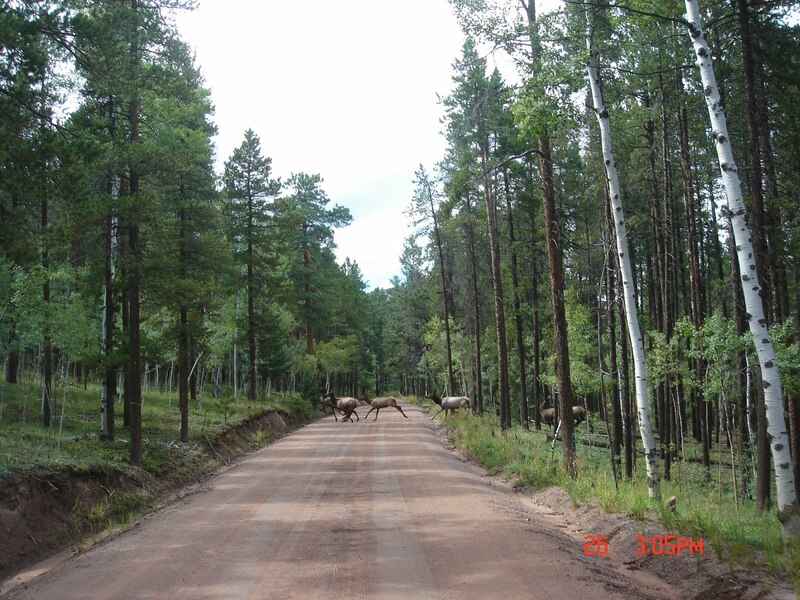 I was a few minutes away packing it in and heading down the pavement towards Durango. The rest is history. Near Tamarron Resort (Ok, The Glacier Club) a ‘stranger’ flagged us down. This stranger turned out to be Marty Gunn – a dude (kid) that my dad hired at our Durango Baskin-Robbins in 1977. I hadn’t seen Marty since 1981. Wow! Marty, The Durango Kid and I hung out all day and night and philosofized about current events, life and everything in between. It’s pretty bizarre re-entering reality after 11 days on the Colorado Trail. Below are a few things that I found quite humorous. It took about 1 day before I actually cared if I have crap on my face. It took about 2 days before I remembered that washing my hands is a good thing. It took about 2 days before I remembered NOT to chew with my mouth open. It took about 5 days before I was motivated to brush my teeth in the AM & PM. And…. It took about 1 day before I was ready to return to the Colorado Trail and ditch all that comes with society and reality. 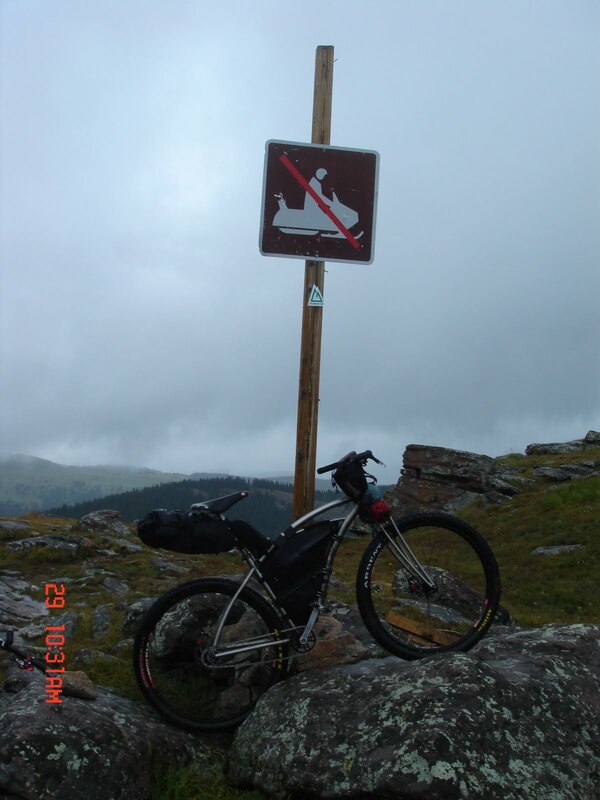 2012 and the Colorado Trail? Yep. I break down and have my buddies, James and Todd, at Black Sheep Bikes build me a new ride – how about a snow bike for snowbikepacking. And what better way to punish myself than to take a snow bike on the Colorado Trail. If I can survive that adventure, I can survive anything. Maybe I’ll be tough enough to survive some killer adventures in the frozen tundra. So we shall see. I hope I can get in the queue and acquire the next sheep for the Back of the Pack armada. 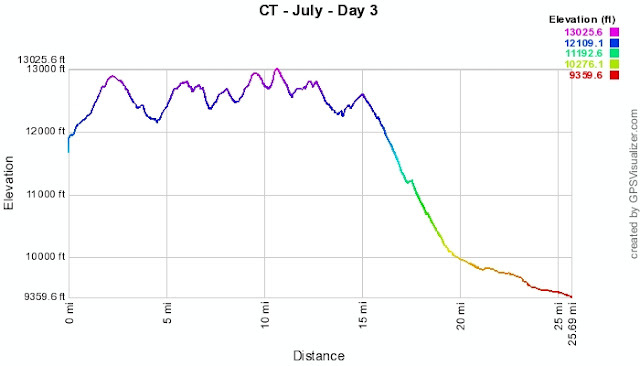 CT – Reflection on Seg 23 at 13kft from Judd Rohwer on Vimeo. CT – The Adventure – Aug 26 to Sept 5 from Judd Rohwer on Vimeo. So. I packed an iPod. As I thought I’d need a bit of company. But I never pulled it out – as all the dudes (and dudettes?) that reside in my head kept me company. Plus I have a skill of singing one song over and over, day after day. Yeah. I don’t need variety. But Watch the slide show if you really care. Well. The United States of America is the greatest country on Earth and the Colorado Trail is the greatest part of the USA. Why would I say that? Simple. 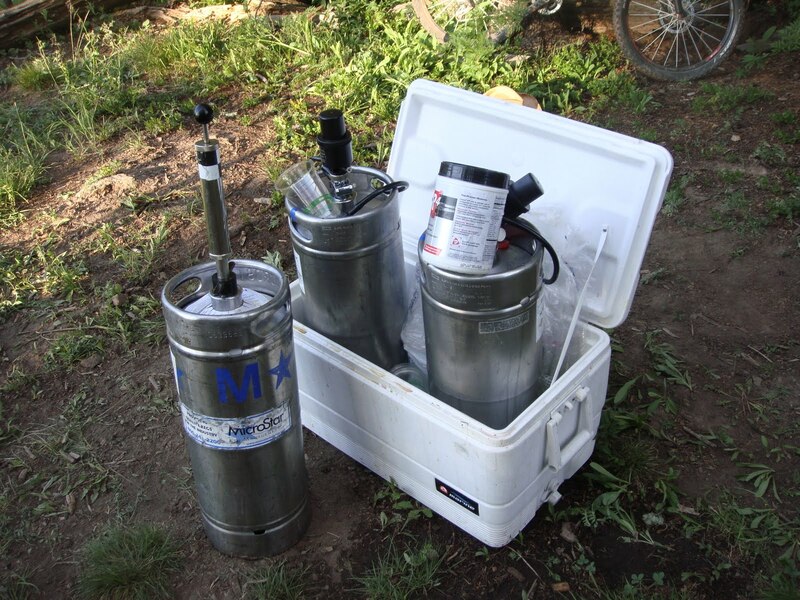 Where else can you ride 40 miles into the middle of nowhere and run into a party with three kegs – one keg filled with Back of Pack’s favorite beverage…. 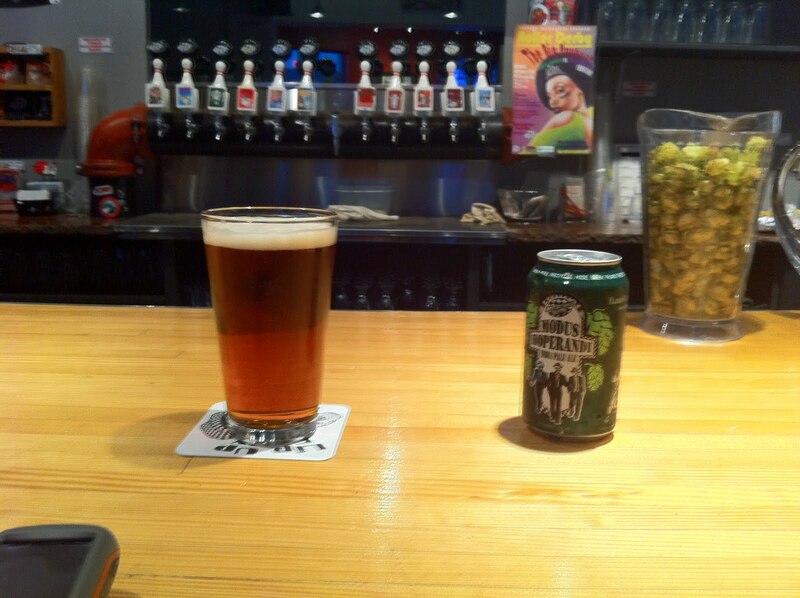 Ska Brewing’s Modus Hoperandi. That’s right dudes and dudettes. We were in the middle of nowhere and drinking Modus Hoperandi right out of a keg. Perfect! Do you call this ‘Trail Magic‘. I do, because it is. The Brothers Rohwer headed back out to the Colorado Trail for another shakedown ride. 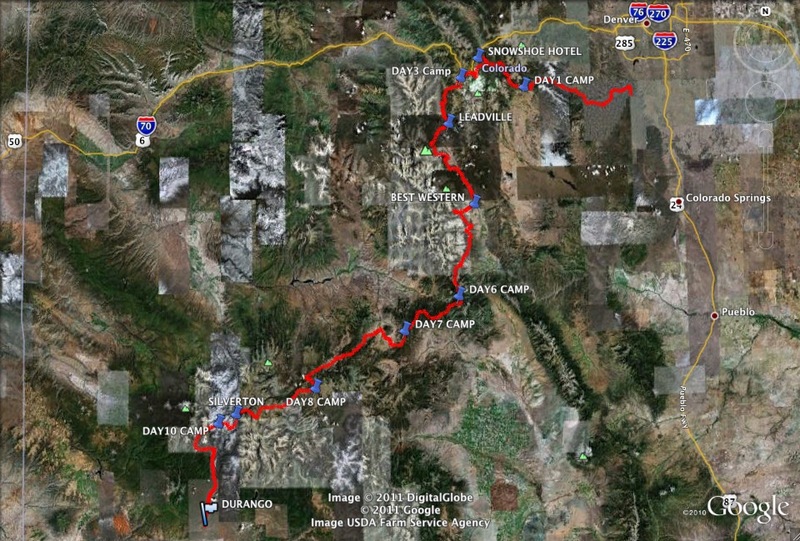 The goal was easy – ride from Silverton to Durango. And ride we did… with a fair amount of hike-a-bike, as expected. So, 200 miles of the Colorado Trail are in the books. We learned mucho lessons and now have a decent game plan for the ultimate adventure – the 500 mile end-to-end adventure from Denver to Durango. Start date = August 6th. I think. Why August 6th and not August 1st with all the other CTR competitors? Just because. The hiking boots and flat pedals worked. That’s how we’ll roll in a few weeks. 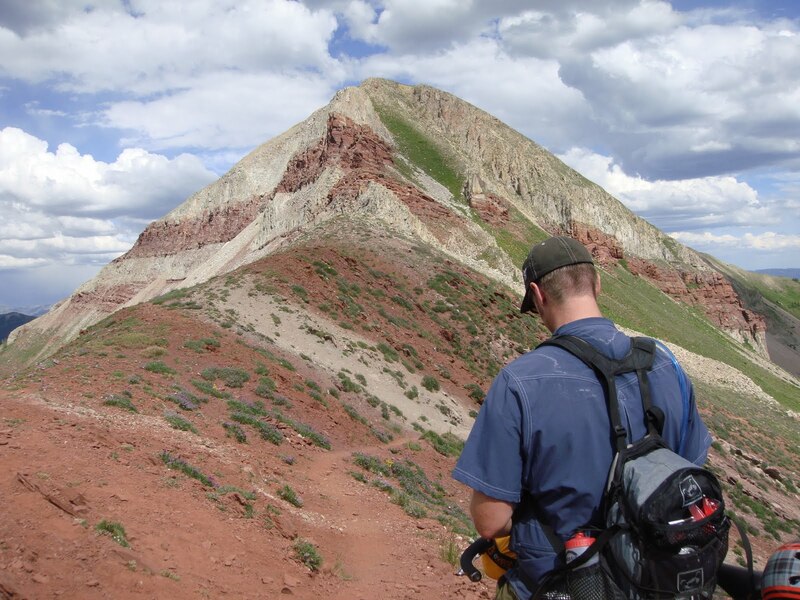 If you have a schedule while on the Colorado Trail – prepare for high anxiety. You just can’t predict how fast you will go and how long it will take. If you have water and aren’t thirsty – there is water everywhere. If you are out of water and thirsty – you have 10 miles to the next water source. I’m serious. When the book says ‘no water for 20 miles’, there is no water for 20 miles. Seriously. Mile 8.4 of Segment 26 to mile 19 Point Something of Segment 27. If you are dehydrated to the point that your jaw is locked open and your swollen tongue is hanging out – it’s pretty easy to catch flies… in your mouth. But it’s pretty had to chew & swallow the fly. Just because. There is always a better camping spot 200 yards down (or up) the trail. Always. Just because you are going downhill doesn’t mean you are going fast. It’s hard to hit 8mph on descents – at least on a fully rigid single speed. If you smell something like melting brake pads – you’re brake pads are probably melting. If your in the lead at the Front of the Back of the Pack. Make sure the dude at the Back of the Back of the Pack is not a victim of Tourrets Syndrome. Every time I heard a S*^T! or or F*^K! I became distracted. I hit a few trees, ran off the trail, hit a bush. 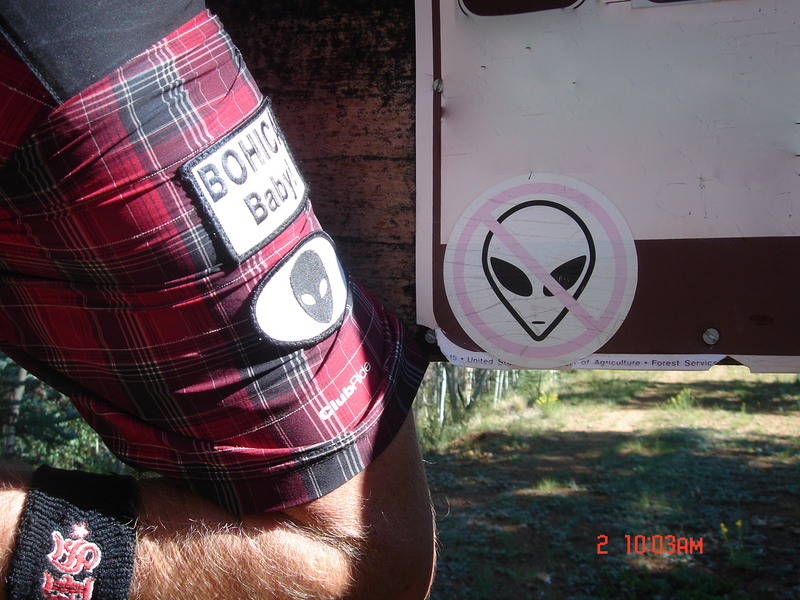 All because my fellow rider’s Tourrets induced rages caused me to look back at the Back of the Pack – a very big distraction while on the Colorado Trail. Lesson Learned: Stay focused and keep the eyes forward. DON’T GO OFF the trail! The Hiking Legs ARE NOT EQUAL to the Biking Legs. That’s bizarre. But that’s reality. 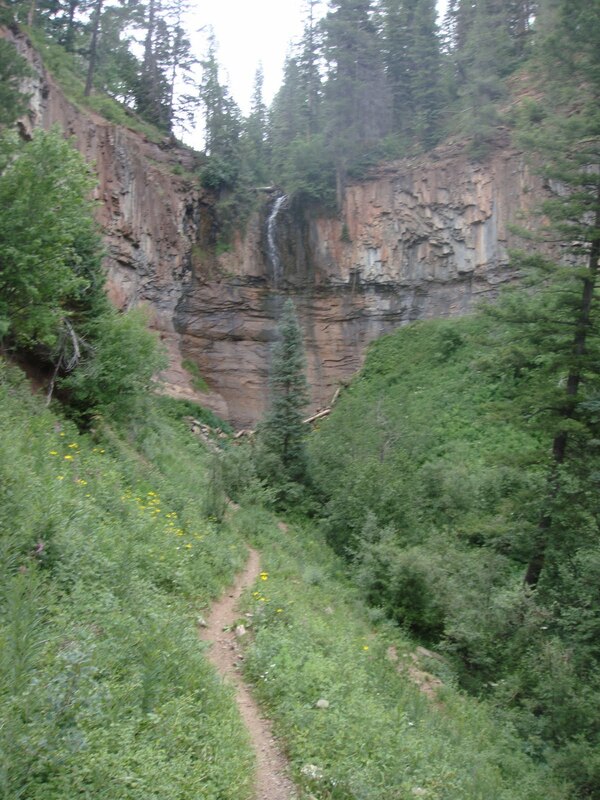 Did you know that there is a rain forest right outside of Durango – near Junction Creek. I didn’t. And I lived in DGO for many years. Hiking in trees (below timberline) is easy but hard. It’s hard to stay motivated / focused when you can’t see the end and don’t know where the end is. Hiking at high altitude, above the trees, is hard but easy. 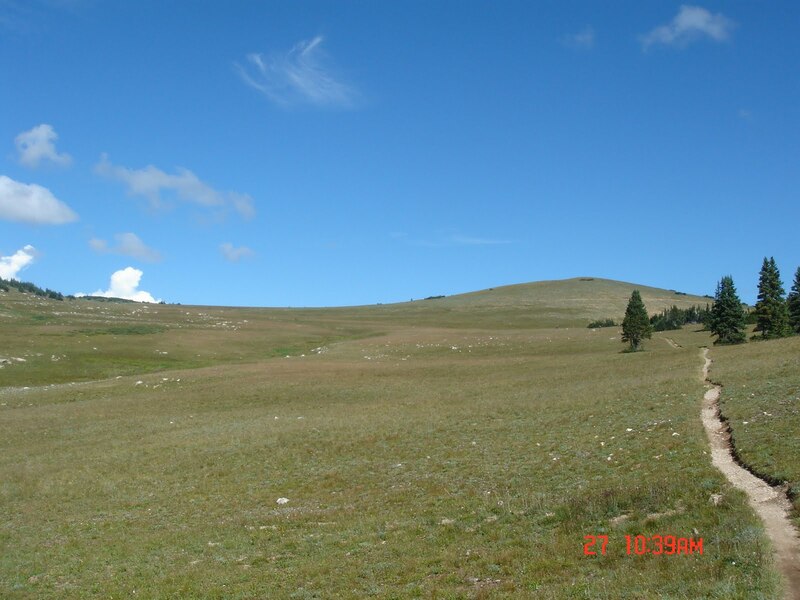 It’s hard to hike at or above 12,000 feet. But it’s easy because you see the climb and see the destination. The Colorado Trail is unreal. The adventure, the beauty, the chaos. 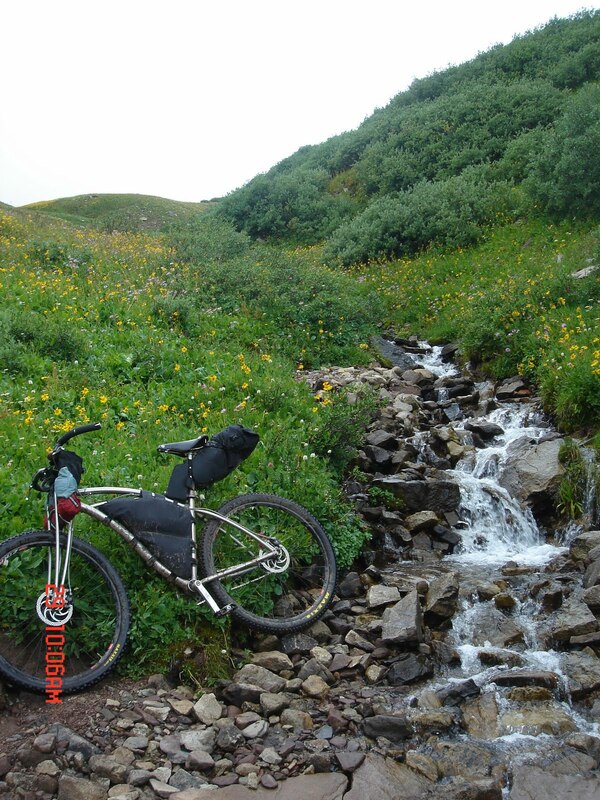 Riding the Colorado Trail is the greatest adventure I have undertaken and will continue to undertake. BUT there are some very very dark times out on the trail. And I’m not taking about the night vs day. The mind does crazy things during extreme dehydration, exhaustion and isolation. But that IS one of the challenges and that IS a big part of the adventure. 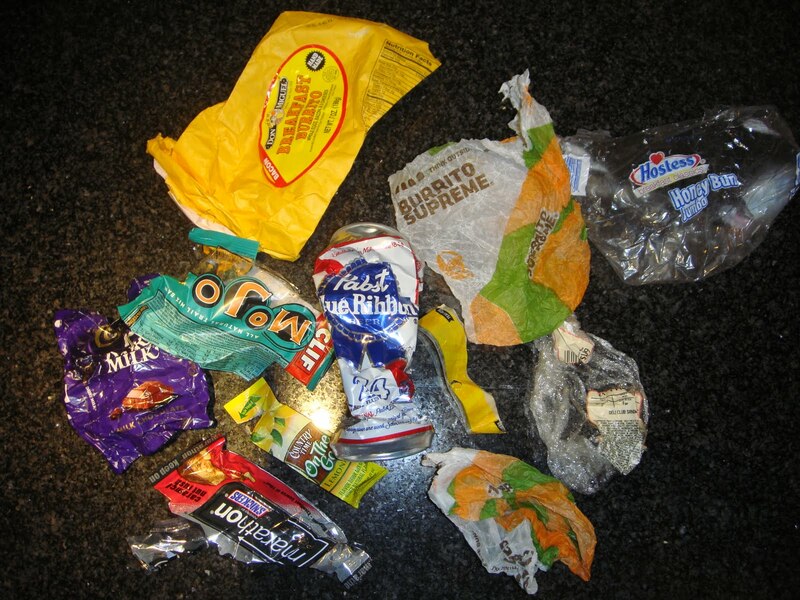 Food is and will be a big issue for our next Colorado Trail adventure. Space is limited but calories must be consumed. Bean Burritos? Gross. Don Miguel Burritos? Disgusting. So what’s the answer? Honey Buns. I think. 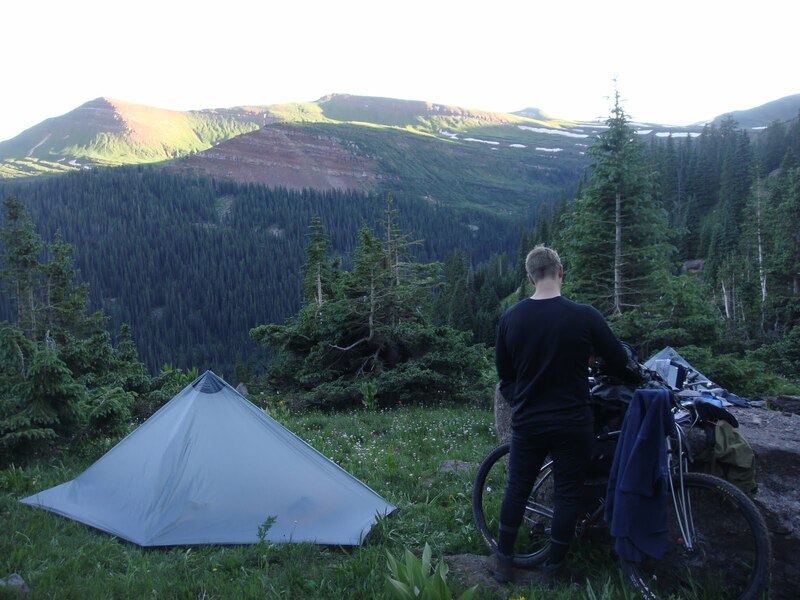 Bike Packing is ‘FREE’ & riding the Colorado Trail is ‘FREE’. But it’s one monumental expense to prepare for the adventure. Yikes. I need a second job. Ok. No I don’t. The CTR Schedule? No schedule planned. A schedule creates pressure that tears the psyche apart. So we will ride as far as we can with the two weeks that we have. We’ll finish or we won’t. It’s as easy as that. The ‘Trail Magic‘ was courtesy of the CT Jamboree: A Multiple Sclerosis Fundraiser. Awesome group. I may participate next year. Thanks dudes & dudettes for accepting us strangers into your group. Thanks for the Modus Hoperandi! No Commentary this time. Why? Because talk is cheap and I’m tired of talking. So enjoy the views and the tunes. My iPod isn’t filled with Amy Winehouse tunes – but the babe moved on to the next life so I figured it is appropriate to chill out to her music instead of rockin’ out to Rage Against the Machine. 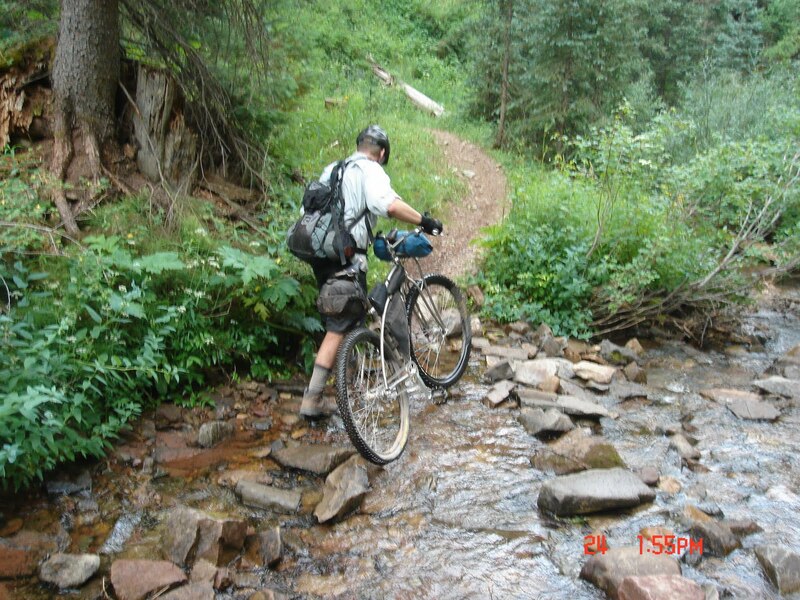 Colorado Trail – Shakedown Ride #2 from Judd Rohwer on Vimeo.